Both lift and leveling kits are designed to raise your truck body. Some people just want the added height for looks, while some are looking for added functionality. While similar in some regards, there are some key differences to keep in mind before you purchase! Read on to learn how the two differ, and how to decide which one is right for you! A lift kit lifts your entire truck – front and rear. When is comes to the amount of lift, the sky’s the limit. Standard kits are available for up to 10”, and custom kits can offer even more height! There are two different varieties: body lift kits and suspension lift kits. Body lift kits allow you to raise the body of your vehicle, without altering any of the suspension elements. These kits are generally less expensive and easier to install. Suspension lift kits require changes to the suspension of your vehicle. Which type of lift kit you choose will depend on your budget and goals. A suspension lift kit will be more beneficial for an off-roading vehicle, while a body lift kit is more for looks. Leveling kits do as their name implies – they level your truck! The rear end of trucks tend to sit slightly higher than the front to accommodate for hauling heavy loads in the bed. A leveling kit will bring the front of your truck to the same height as the back. These kits are primarily installed for looks, but they also offer slightly increased ground clearance and the ability to run larger tires. The lift gained from a leveling kit is generally about 2 inches. Whether you choose a lift kit or a levelling kit, both will add style and value to your vehicle. The choice will ultimately depend on how you use your truck. 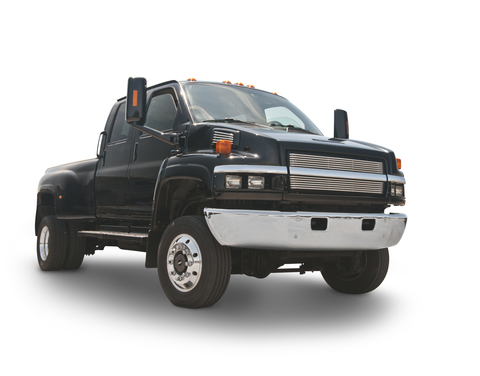 Leveling kits lend themselves to trucks that are regularly used for towing or hauling. A leveling kit will give you a bit of extra height without affecting your payload capacity. Lift kits are a better choice for people who regularly go off-roading, or who want to drop jaws with their truck’s extreme height. If you’re looking for more information on lift or leveling kits, contact the pros at Park Muffler. Our technicians are experts at installation and will make sure you get just what you’re looking for!